Sheaffer Taranis. With 100 years of expertise in luxury fine writing craftsmanship, Sheaffer unleashes a titan that is head and shoulders above the crowd. Designed by renowned U.S. architect Charles Debbas, the groundbreaking pen named after the Celtic God of Thunder embodies aerodynamic power and sleek style. 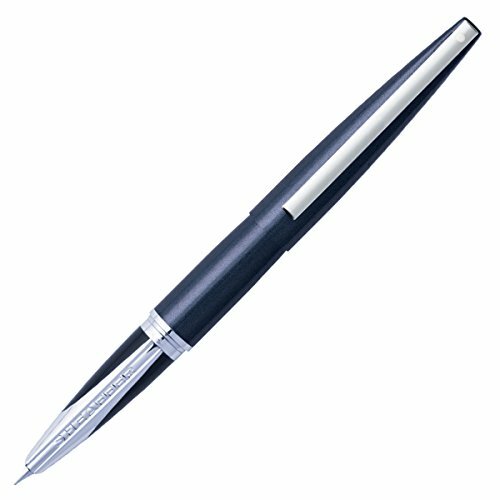 The Sheaffer 100 makes a great gift for celebrating an occasion or kicking off a new chapter. With its modern design, timeless finish options, and balanced feel, it is the perfect tool for letting ideas flow effortlessly onto the page. 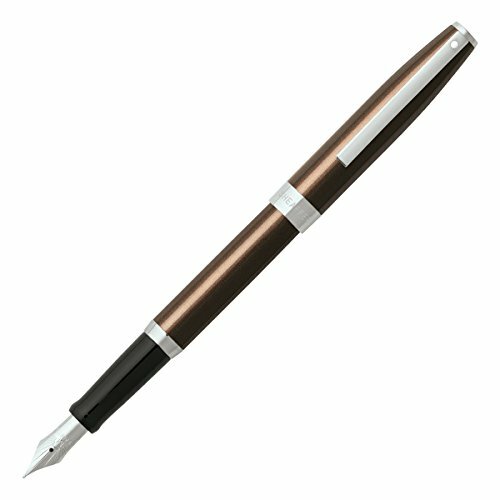 For anyone who enjoys writing, the Sheaffer 100 is an affordable way to bring that experience up a notch while also making an impression. Big on style, yet affordably priced, the Sheaffer 100 makes the perfect gift for creative minds. Sheaffer 300. 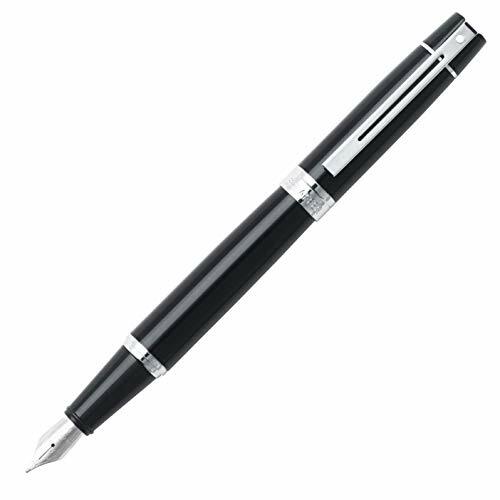 Modern design and elegant finishes personify the elegance of Sheaffer 300. Make that special occasion even more memorable with the Sheaffer 300. Sheaffer 300 collection features a wide cigar-shaped profile that is balanced and comfortable to hold. All instruments feature the Sheaffer signature wide band and "White Dot" symbol of quality. Sheaffer pop: make your style pop! Sheaffer pop is the fun way to make a statement. This smart, modern design comes in an assortment of bold colors to match any mood (or outfit)! what is the color of your inspiration? pop comes in six vibrant hues set off by a bright polished-chrome center band and clip. Its clean, cylindrical profile flows into a curved, comfortable grip. It’s the perfect companion for work, play, or any creative undertaking. Sheaffer 100. Make that special occasion even more memorable with Sheaffer 100. The Sheaffer 100 writing instruments are stylishly enhanced with a contemporary polished nickel plated grip. The timeless brushed chrome finish with shiny nickel plate trim makes a powerful statement at school or on the job. Affordably priced, this collection is an easy way say "I love luck on the big exam or at the big meeting," or "I simply cannot read your writing otherwise". Give "The Gift That Matters", with the Sheaffer 100. Sheaffer Sagaris. 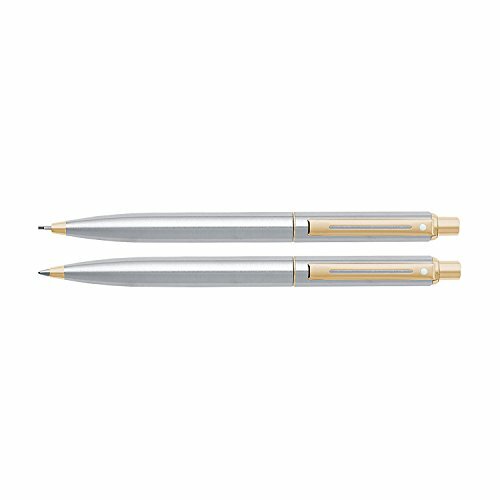 Inspired by long-time favorite, Sheaffer Triumph, Sheaffer Sagaris is light-weight, slim, and fits comfortably in the palm of your hand. It has a distinguished profile characterized by a tapered cap and barrel.